The much-anticipated final season of Game of Thrones will premiere on 14 April, HBO has confirmed. The announcement was made at the end of a new trailer for the fantasy series that aired ahead of the premiere for True Detective. Created by long-time Game of Thrones director David Nutter, the trailer is an ominous, darkly lit effort that sees Jon Snow and Sansa and Arya Stark venture into the crypts of their ancestral home Winterfell. After walking past statues of deceased members of the Stark dynasty they encounter their own effigies, hinting at possible untimely deaths for the trio. The trailer ends with the crypt filling with a freezing fog, suggesting the arrival of the show’s supernatural antagonists The White Walkers. Adapted from George RR Martin’s novels, Game of Thrones has proved a ratings juggernaut for HBO, acquiring a vast international audience and winning multiple awards since its launch in 2011. Little is known of the show’s eighth and final season, but it has been confirmed that it will consist of six feature-length episodes, concluding with “the most sustained action sequence ever made for television or film”, according to a behind-the-scenes report from Entertainment Weekly. While the final season of Game of Thrones will likely provide a full stop for the stories Jon, Sansa and Arya, it will not be the last we see of the show’s fictional world Westeros, with a prequel series created by Jane Goldman and starring Naomi Watts currently in production. 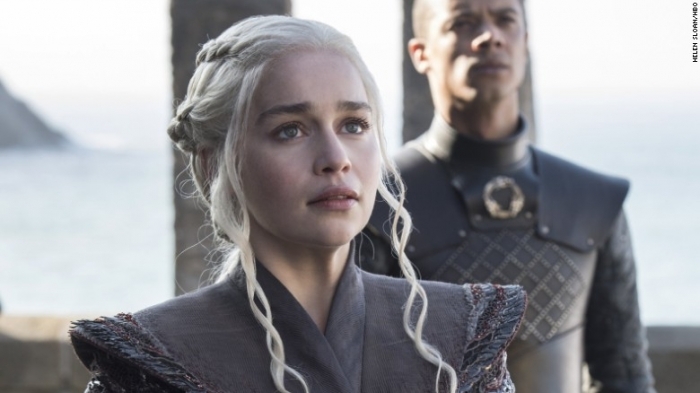 The final season of Game of Thrones will air on HBO in the US and Sky Atlantic in the UK.